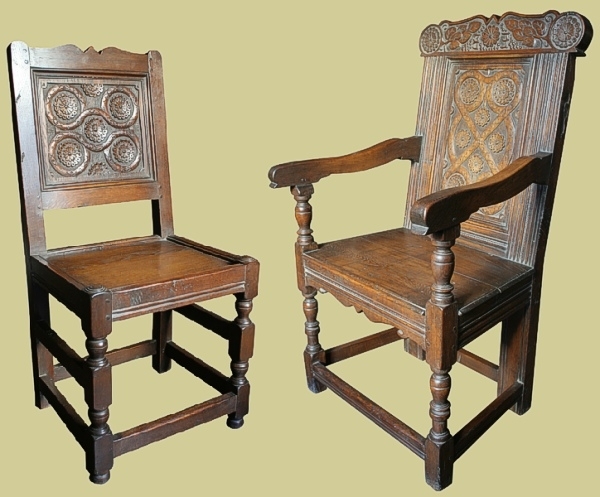 Photo of our Chalvington range carved oak Westmorland style oak dining side chairs, taken in the dining room of our clients Tudor panelled East Sussex home. 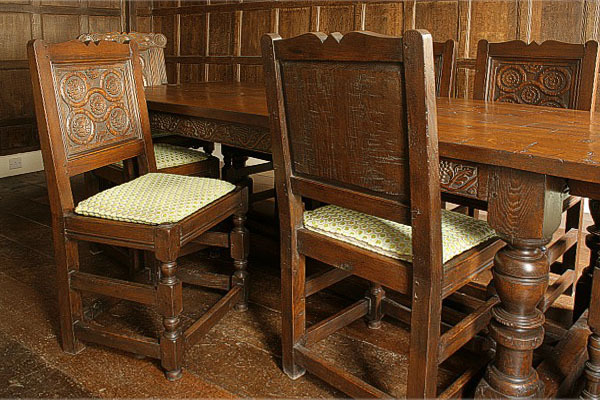 We also made the carved oak dining table. Our managing director was involved some years ago with the restoration and conservation of the oak panelling seen in this beautiful room.